Gasly was drafted in at Caterham to end the season, replacing Tom Dillmann alongside Rio Haryanto. The Frenchman was busy in Formula Renault 3.5, as he finished his rookie season runner-up to Carlos Sainz Jr. He scored eight podiums and a pole, but no wins. GP2 was an entirely different matter, as the struggling team he drove for were preparing to leave the Series. His experienced team mate did hardly any better in their time together, and those that came before him had not set the world alight either. Gasly improved steadily in qualifying, though the results did not come his way. Gasly topped all three days of post-season testing for DAMS and signed with the reigning champions for 2015. Apart from a podium in the Spanish sprint race, the first four rounds only brought two points-scoring finishes. At Silverstone he was twice in the top four and in Hungary he finished second to his team mate in the feature race. Spa and Monza were four races to forget but Gasly took his first GP2 pole in Italy. In Sochi Gasly came a close second to Rossi in the feature race, then he ended the season by taking the final two pole positions, but failed to take many points from the final races as he struggled to maintain a good pace from lights to flag. Gasly moved to newcomers Prema and took pole on their debut in Barcelona, also finishing twice out of two on the podium. Two average races in Monaco seemed to resize Prema from championship contenders to lucky winners, but in Baku his rookie team mate took two sensational wins. The second of those came after Giovinazzi pushed Gasly at the end of the straight for seven laps, eventually forcing the Frenchman to make a small error on the final lap and passing him. And so the experienced man was still waiting for his first single-seater win since 2013 and the Italian newcomer had already won two races in his first six starts. The Red Bull Ring did not bring any improvements either, but when things started going his way in Silverstone Gasly held onto the lead and won the race ahead of his team mate. In Hungary again Gasly won from pole in front of Giovinazzi. 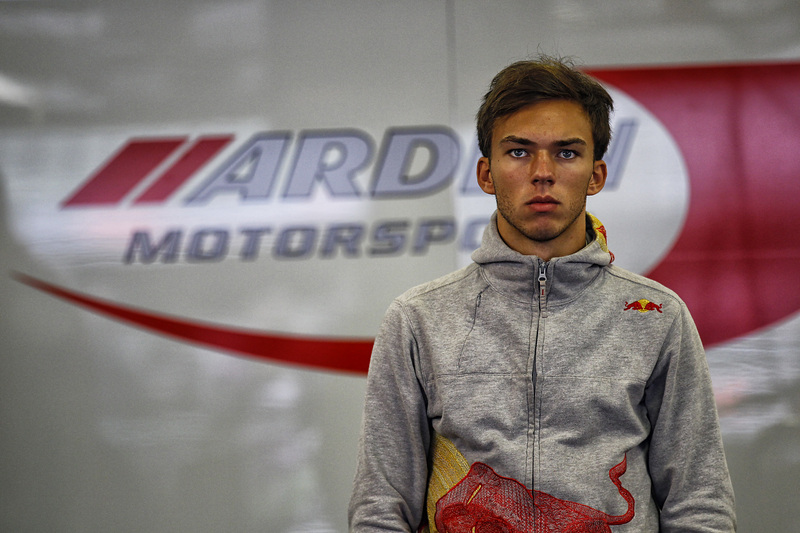 In Germany Gasly had a horrible race with problems everywhere and was disqualified after finishing third due to his fire extinguisher going off during the race. He nonetheless recovered to sixth place on Sunday. At Spa Gasly won the feature race once more and also finished an excellent fourth in the sprint race. At Monza a controversial Safety Car period cost him the win from pole but he finished second the day after. In Sepang a bad start and poor pace dropped Gasly from pole to outside the points, as Giovinazzi took the lead in the standings from him. He still managed to take a podium in the sprint race. Pole and win in the first race in Abu Dhabi made the title for Gasly more than a simple likelihood, and he controlled his team mate from close behind in the sprint race and could even allow himself to drop out of the points in the final stages of the race as Giovinazzi was not high enough to take the points he needed. Gasly was champion. Giovinazzi did not find a place in F1 at Toro Rosso and was moved by Red Bull to Super Formula, a path followed by the previous GP2 champion Stoffel Vandoorne.